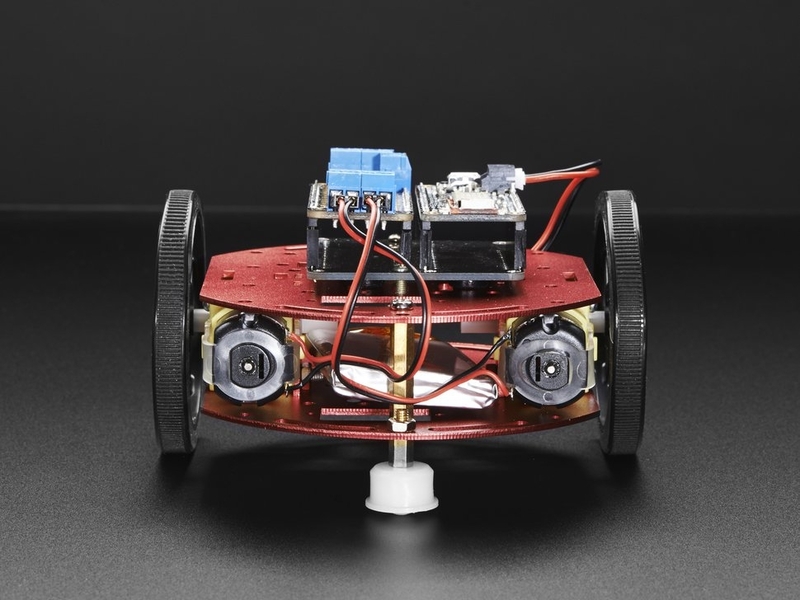 Unleash your inner Mad Max and make your vehicle dreams a reality with the Mini Red Round Robot Chassis Kit. 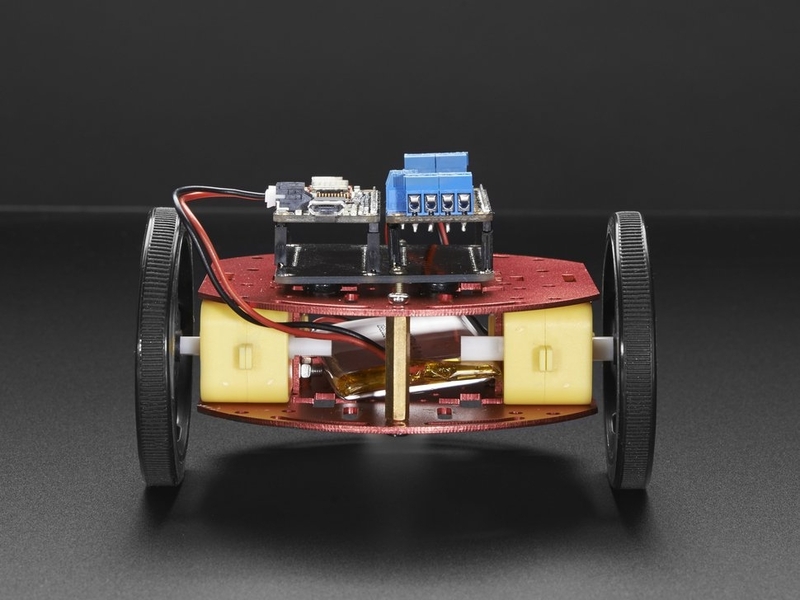 This kit gives you everything you need to build the shell of a 2-wheel-drive Mobile Platform Robot! 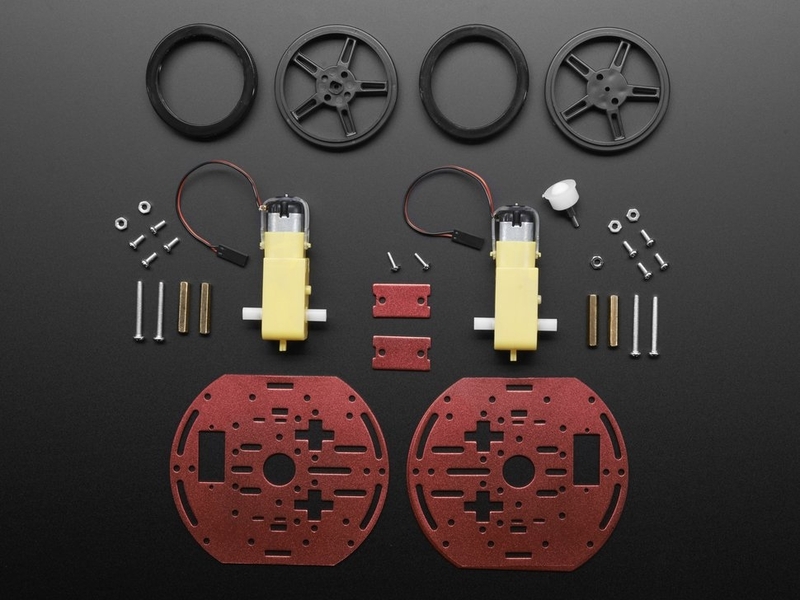 You get the metal plates that make up the chassis, two DC drive motors with matching wheels, and a caster ball for balance. 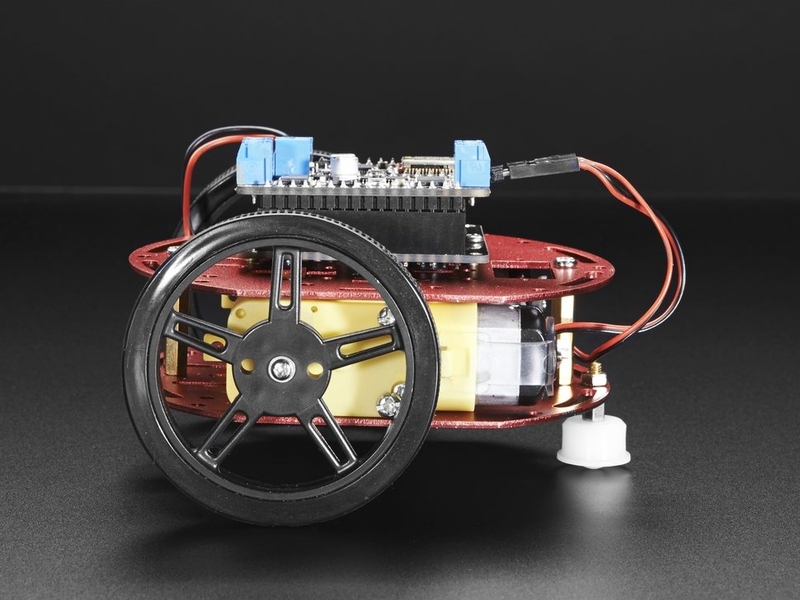 You'll fill in the rest with a power supply, microcontroller board, and motor controller. 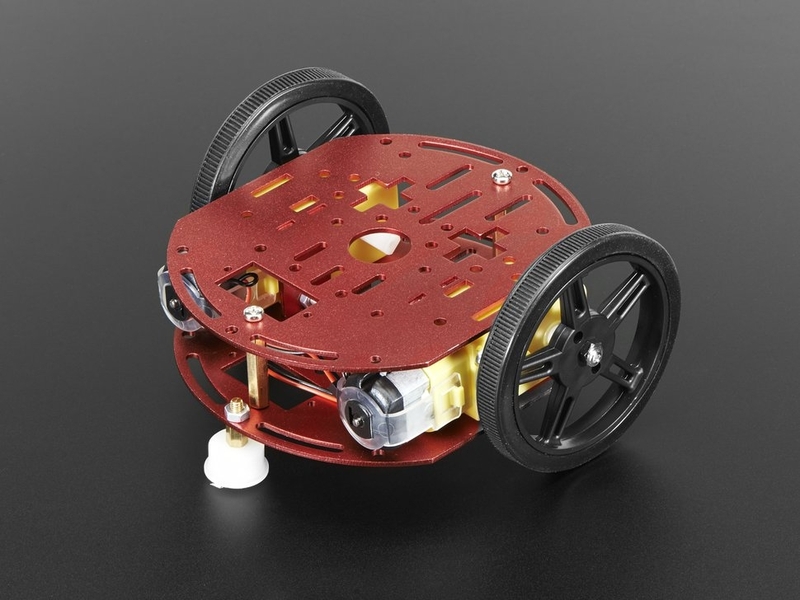 The differential drive (two separately driven wheels) allows for a near zero turning radius while the high-strength aluminum alloy body plus high-quality high-speed motors make it suitable for flat indoor surfaces. Also it's adorably small! 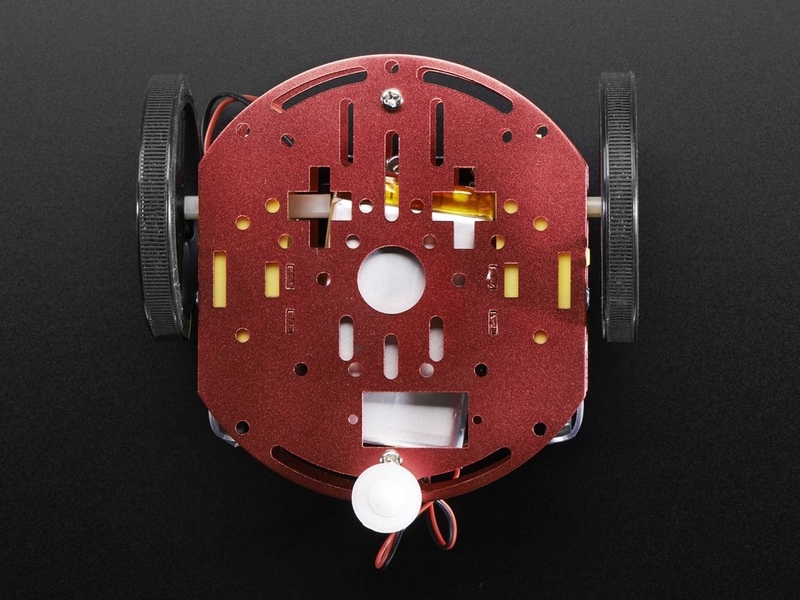 We of course have suggestions to run the motors like our TB6612 breakout, Motor FeatherWing, Motor Shield for Arduino, or Motor HAT for Raspberry Pi. Basically anything that can do two bi-directional brushed DC motors at ~5V and 1.5 Amp peak. 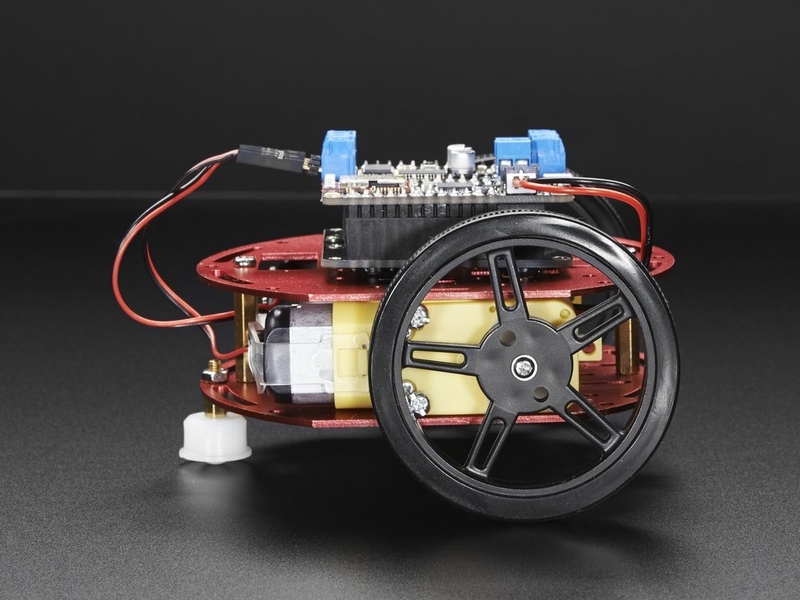 To steer the wheels, you'll need something to toggle the motor driver like our Feather 32u4 Bluefruit LE, which we used in our demo, and to power the robot/microcontroller we used a Lithium Ion Battery - 3.7v 2000mAh, but this is all up to you and your imagination! Note: LiPoly Battery, Feather board, FeatherWings, and Feather accessories are not included! This is just the body of the mobile platform robot.